Home Blog Friday afternoon snowshoe outing! 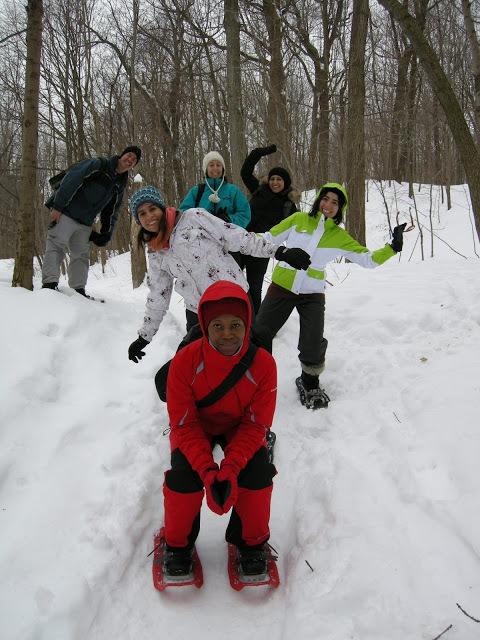 Last Friday, for our first Introduction to Winter Sports outing, we took advantage of the still fairly copious amounts of snow to go for a good snowshoe hike on Mount Royal. Thanks to our great group from Mexico, Tobago, Spain, Iran, France, the USA and Ontario! See everyone next week! Previous articleHomemade snowshoe binding with a used bike inner tube! Next articleRaquettes dimanche avec des conditions printanières!